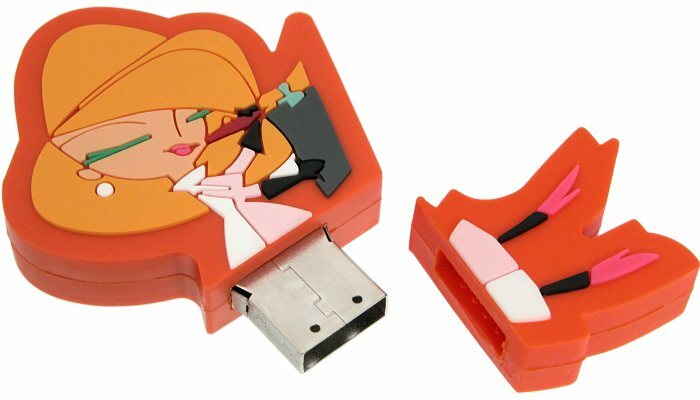 2D Custom USB Stick as a Corporate Gift for Marketing. 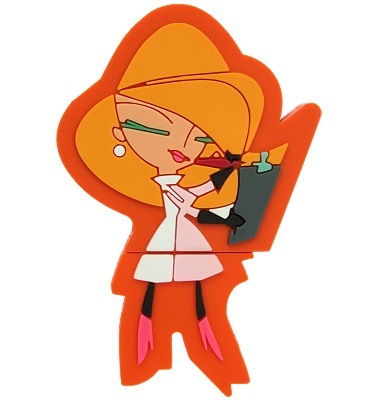 Encapsulated in a rubber sandwich of rubber that is moulded into the shape of a character used for marketing. The different colours are divided into sections with recesses between them to give an excellent separation between the colours. The rear of the USB stick moulding has a bold branding in relief of the surface. 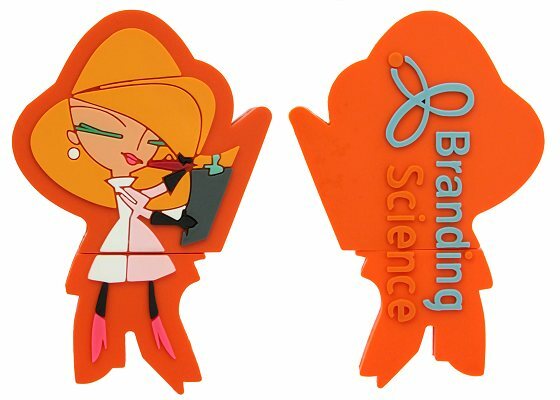 This Custom USB stick is of the character called Brenda who partners Brandon CPC18 and they belong to Branding Science. If you follow Branding Science on Twitter you might see Brenda in action in various Tweets. 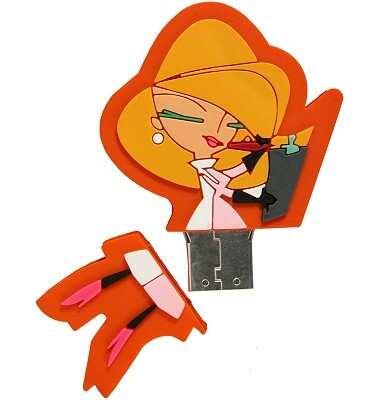 When your business is abstract and you don't have products to shape into a USB stick, invent characters. Branding Science shows how well it works!